After bandits steal his poker winnings, this American legend makes his way to the next town in search of them. 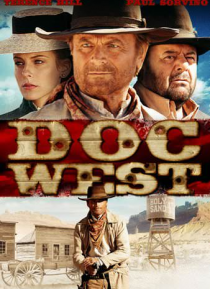 Seeking out his revenge during a poker game gone bad, Doc West finds himself in the local town jail. When his past is exposed and a battle amongst the town breaks out in gunfire, he will have to choose sides between the outlaws or the law-abiding citizens.